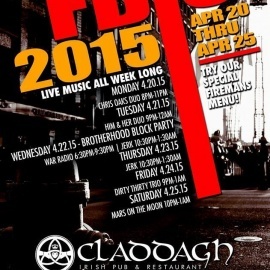 Claddagh Irish Pub offers the best in casual dining and drinks in the Wholesale District. 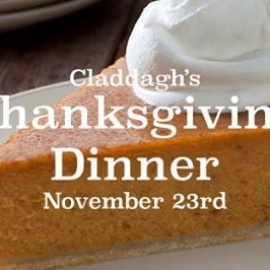 Featuring a warm inviting atmosphere, fantastic food at affordable prices, the best in Late Nite entertainment - from Live Trivia, Live Music, and Live DJ's - Claddagh has something to offer to every taste and style. Come in for a quick and affordable lunch with co-workers, or bring your date out for a great dinner followed by dancing and drinks, or meet up with your friends and enjoy a casual relaxed atmosphere punctuated with a vibrant upbeat and energetic late night scene!